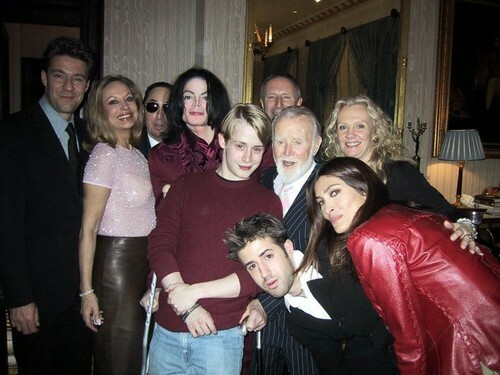 Michael Jackson and Macaulay Culkin . . HD Wallpaper and background images in the Prince Michael Jackson club. This Prince Michael Jackson photo might contain well dressed person, suit, pants suit, pantsuit, bridesmaid, and maid of honor.